& integrated motor + control panel. 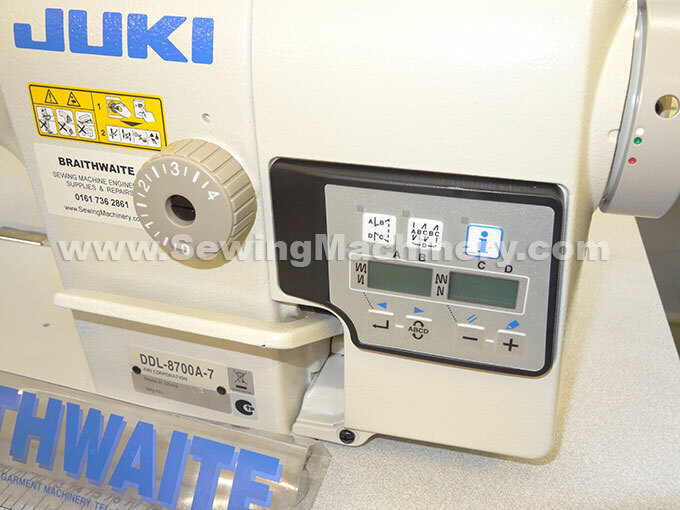 DDL-8700A-7 model offered by Juki at an economy price by integrating the sewing machine head, motor and control panel into a less expensive package. 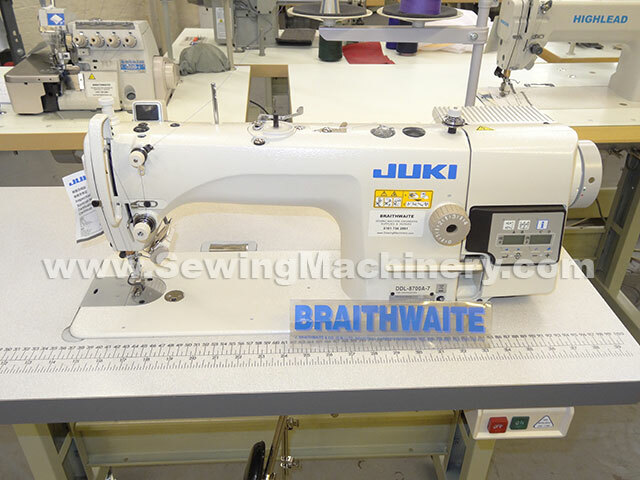 This Juki 8700A-7 model utilizes a motor mounted on the back of the sewing machine head which reduces production costs when compared with a conventional under bench mounted motor. In making this A model Juki took the established DDL-8700-7 model and adapted it by fitting a direct drive style motor system. 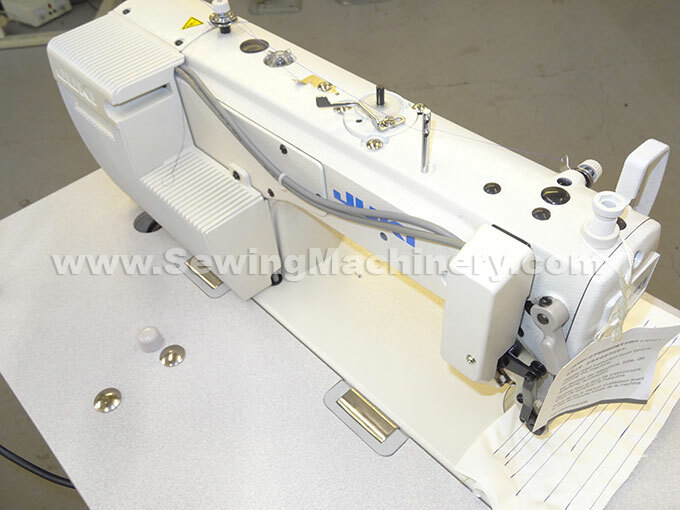 The sewing machine comes with a thread trimming mechanism that performs quickly and reliably to add efficiency when sewing. It responds to various kinds of materials and produces sewn seams of consistent quality. Included is an auto reverse back-tack system and front mounted entry level control panel. In addition the "WB" sub class model adds a quick knuckle reverse device and automatic thread wiper. 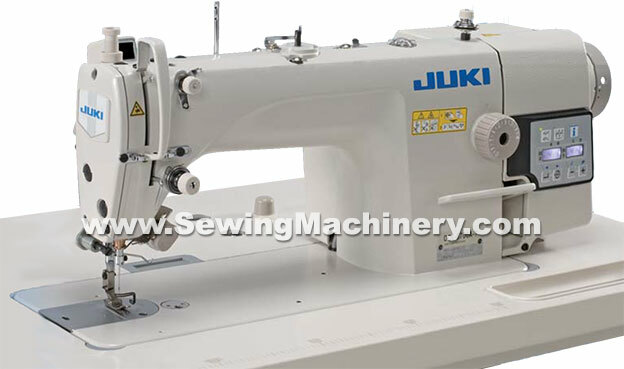 This model inherits the desirable features from previous Juki DDL models: such as high-speed stitching performance of up to 5000 stitch per minute, ease of operation and reliability. By thoroughly investigating and modifying the sewing mechanisms Juki have achieved low-tension sewing with flexibility that responds to various kinds of materials and produces beautiful seams of consistent quality. 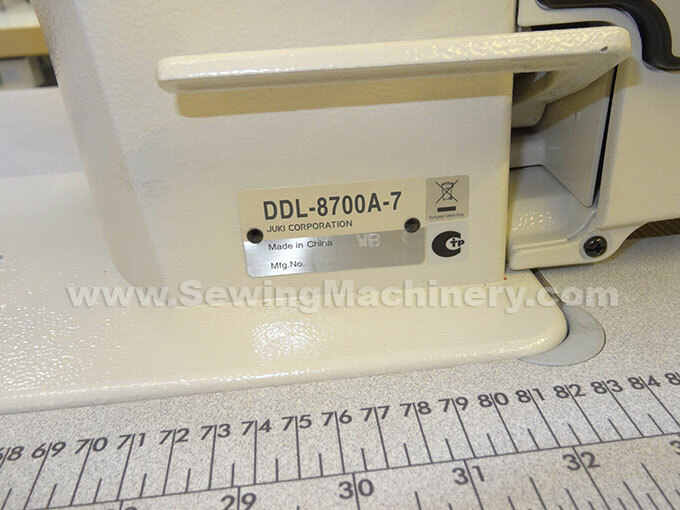 Old model DDL-8700A-7 Juki DDL-8700A-7 UBT lockstitch sewing machine with automatic thread trimmer & integrated motor.